Head to the Marquee Suppliers’ Pavilion to take part in Clayzer’s mobile laser clay pigeon shooting experience. Easily transported to any event or location and set up to entertain you, your guests and or clients, the system comprises five real, but deactivated and modified, over and under shotguns which shoot at a clay launched from a conventional 'trap'. Hits and misses are indicated on an electronic scoreboard in front of the shooters and a scoring system is used to record the participants progress. A round of clays usually consists of 15 clays and final scores are noted on a scoreboard for all to see. The beauty of Clayzer is that it is totally safe and risk free, all the equipment is powered by rechargeable Lithium-Ion batteries, so no mains power is required, and the clays are re-used, so it is totally environmentally friendly. Even the sound is controllable! Clayzer started in 2012, initially as a single five gun system, however has since expanded to two systems making it unique in as much as it can combine both systems, for larger corporate events and shows, to shoot 10 guns. Many people haven't heard of, or seen, laser clay pigeon shooting and Clayzer is hoping that by exhibiting at the Showman’s Show it will raise the profile of this type of entertainment and in particular the company. This year, the team has travelled across the country, from Penzance to Ashford, from Norwich to Anglesey, from Kendal to Scarborough and all points in between! They have been seen at music festivals, private parties, corporate events, shows, but by far its biggest audience has been Weddings! The company was nominated for the South West Wedding Awards 2018 and was the recipient of 'The Judges Award' where we were winners against 122 different companies across the wedding business spectrum, something it is very proud of. 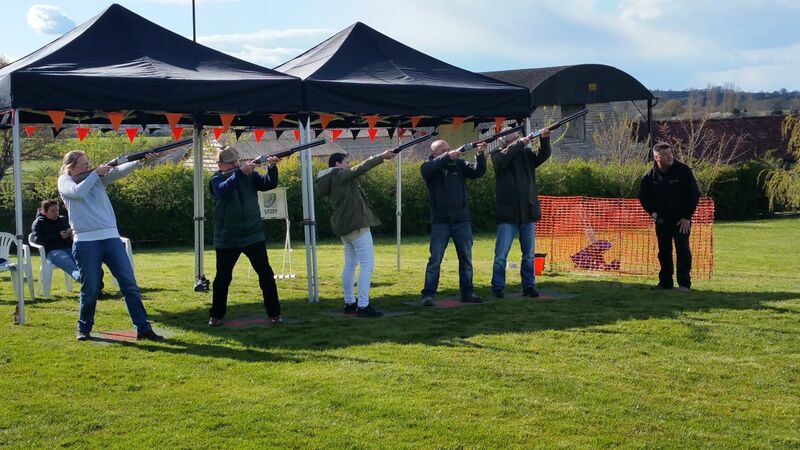 Exhibitors and Visitors to the show will be able to taste first hand laser clay pigeon shooting, as we will be setting up as we do at events for everyone to give it a go and see how much fun and how addictive this type of entertainment can be. We will be running 2 competitions at the show, one for Exhibitors and one for Visitors, with a trophy for the best score off a single round of 15 clays so come and see us and give it a go!